Grave marker for Clarence D. Chrislip in Hillcrest Memorial Gardens, Seville (Medina county), Ohio. Clarence enlisted in the Army on October 15, 1942. 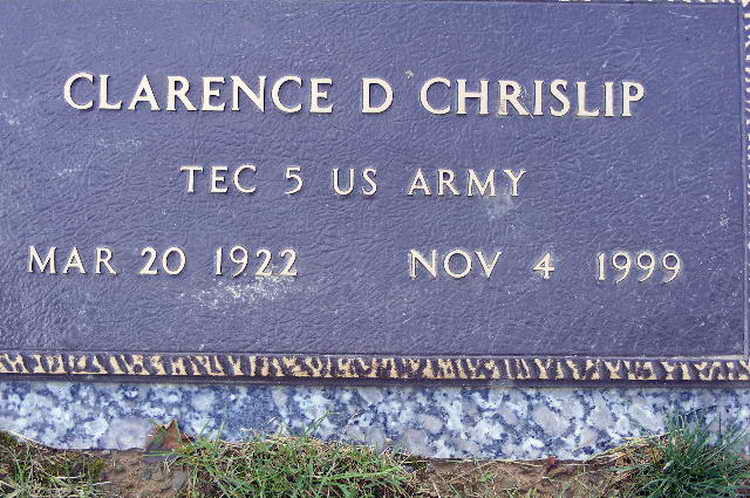 He served with Servbice Company of the 508th PIR and attained the rank of Tec/5.